Welcome to Mayers Packaging! 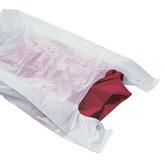 You can personalize your plastic bag; we have diecut bag, frosted bag, t-shirt bag, basket bag and much more! Contact us!